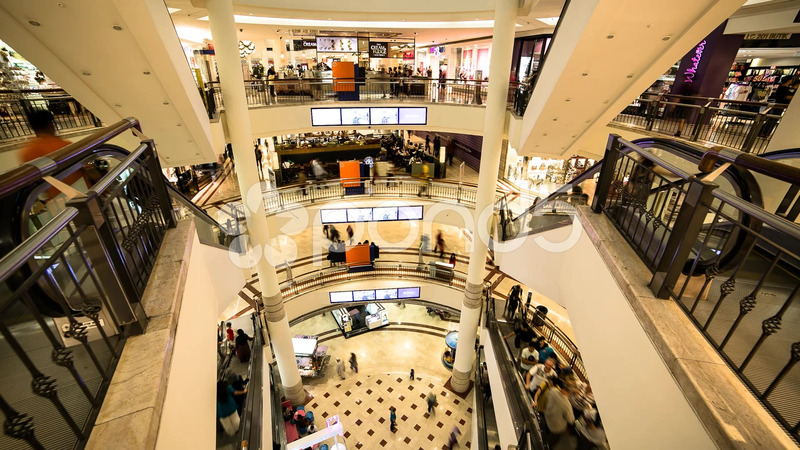 Description: A high angle timelapse inside Suria KLCC Mall in Kuala Lumpur, Malaysia. Multiple floors inside the mall can be seen, together with moving escalators and people. Shops and flashing TV screens are also visible.